ITAHARI, Aug 7: Dekraj Thapa, 29, went to Qatar three years ago for employment. Before flying he shifted his wife and child to ward 8 of Itahari Sub-metropolitan City. His wife, Srija, however left that room soon after and rented an apartment in ward 9. While living here, she lied to neighbors and told that her husband is a government employee and comes home in intervals. A man frequented her apartment and neighbors believed him to be her husband, as she had anticipated. Even her toddler son addressed him as ‘baba’ (father). The relationship got deeper day by day during those three years. When Dekraj returned home some months back, his son would not address him as father. The kid would say to him that his father would come soon, referring to the man whom his mother had identified as his father. This put the biological father in confusion. In addition, people around were behaving unusual with him, he said. He sensed that there was something wrong. He was told by neighbor’s that ‘Srija’s husband is someone else’. This forced him to sort out the issue with his wife - but she disappeared. Dekraj resorted to police to track her down. Subsequent investigations revealed that Srija was in relationship with a policeman and that both of them were in love before Srija was married to Dekraj. While the lovers were mulling Srija’s divorce, Dekraj convinced Srija to drop the idea and return to him. Subsequently, they patched up and returned back to their home in Sankhuwasabha. But the patch did not hold long- Srija fled home last week. “I always dreamt of giving her all the comfort in world. I toiled hard in the foreign land, just for her,” Dekraj says. “But sometimes, destiny has another plan. Things do not go as we want,” he lamented. Puja Thapa Magar, 22, of Itahari-9 also tied knot with another man while her husband was working in Qatar. Her husband, Umesh Thapa, had left for Qatar two years ago. A mother of two, while eloping with her new-found love, she left her elder daughter in the care of her parents and took the younger one with her. When Umesh returned home he was shocked to know all this and was devastated even further in realizing that she had taken the money that he had remitted home. “I know that she has married someone. She not only destroyed the family but also took away Rs 360,000 with her from the money that I had sent to her from Qatar,” Umesh said. So far, he has not been able to find her. Bhim Bahadur Rai of Dharan had tied nuptial knot with a girl from Katari-4, Udayapur, eight years ago. Soon after that he had left for Malaysia. He worked there for the past eight years, with occasional visits back home in between. 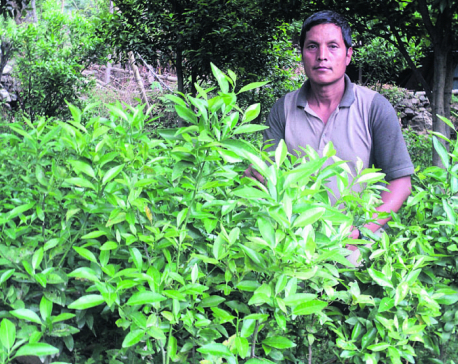 Through this period, he claims of remitting around a million rupees back home to his wife and had even bought a piece of land in Dharan Sub Metropolis to build their dream home. The land was registered in his wife’s name. But recently, she disappeared leaving behind a six-year-old son. “I was planning to stay with the family forever after building a house for them. But everything o had dreamed have been snatched away from me,” he said. Yet another victim of such elopements is Yadav Prasad Wagle. He has filed case in police station that his wife has gone missing after admitting son at the Gyan Niketan School in Kathmandu. Wagle, a resident of Itahari - 4, claims that his wife has taken away Rs one and half million and gold jewelries. “It’s not only that I have lost my wife and my son has lost his mother, we lost our money also,” he claims. In his complaint with the police, he has claimed that his wife has taken land ownership papers, marriage certificate and child’s birth certificate as well with her. On the other hand, it has been learnt that his wife Bhagawati has filed for divorce and has claimed half of the property. The trend of migrant workers’ wives quitting marriage and also taking away family’s money and property is getting more and more common. These husbands lament that in doing so they are not only being betrayed but also being robbed of their assets. Police reports say that some women do not officially leave their husbands, who are working abroad, despite being in intimate relationship with other men so that they keep receiving the remittance. Investigations in such cases point that in most of the cases social media sites and messengers have been playing pivotal role in fostering illicit relationships. 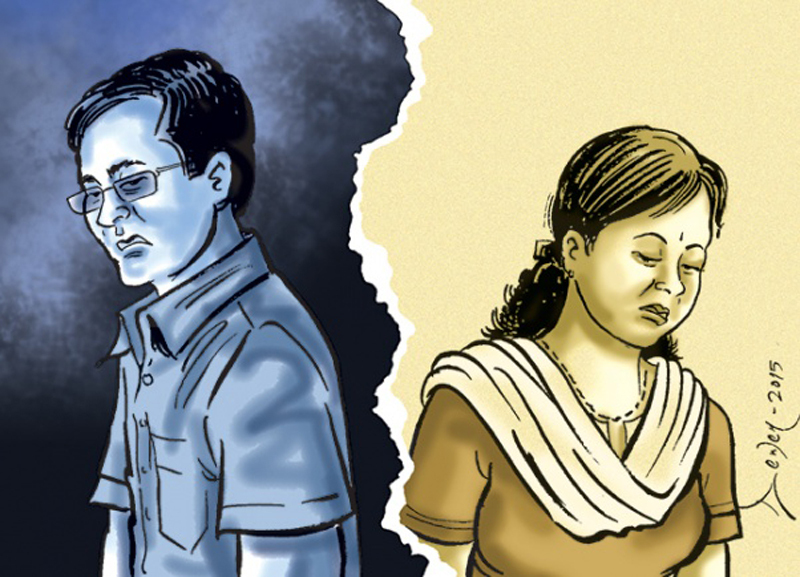 According to Yashoda Karki, a police constable at the Woman Cell of Area Police Office of Itahari, such wives mostly often happen to marry with married men. “Married people when fall in love with other, they marry without divorcing the first partner,” she said. “Around 90 percent eloped wives of migrant workers have eloped with married men,” she added. As per the data of the police office, 211 women of Itahari have been reported ‘disappeared’ in the last fiscal year.